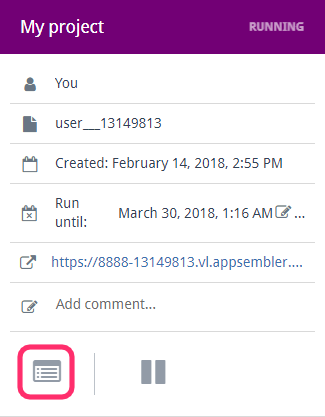 Typically, when a user container is created, you can identify it on the User Containers dashboard by the email address at the top of each container. If you can't find it this way, however, you can use the following method to track a container down. From here all we need to do is find this container on the dashboard that matches this ID. To do this we simply go to the User Containers tab in Virtual Labs and search the page for this ID. The easiest way to do this is to use CTRL+F or ⌘+F (on Mac) and paste in the ID. With any luck, you've now found the container you were looking for. If your learner is afraid of running out of time, just go down to the Run Until: line, and click the pencil. You can then enter a new expiration date. Click the save icon once you're done, and the container's expiration date will be altered to whatever you typed. 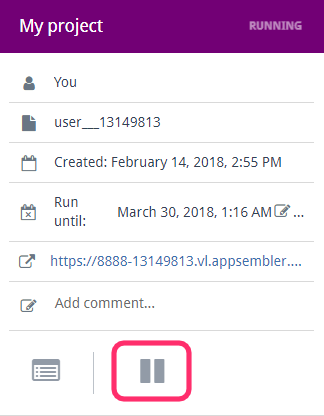 If a student's container isn't working, you can click the Show Logs button in the bottom right of each student container on the dashboard to access useful logs for this container. In addition to the usual logs, you can also view the container's memory and storage usage in order to try and pin down what's happening with a container that isn't functioning correctly. 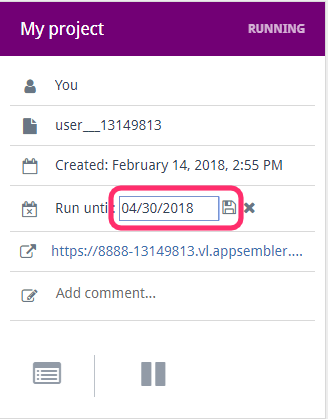 If all else fails, you can give a learner a fresh container by clicking the Halt Container button at the bottom of the container in the dashboard. 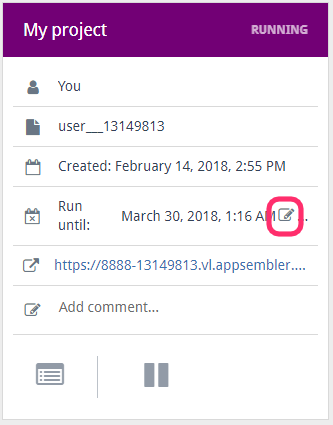 Once the container has halted, the Delete button will appear in its place, allowing you to permanently delete the old container and allow the student to claim a new one. Use this with caution, as once deleted, it's gone forever.